Are you 11-18 and still in school? We've teamed up with Danske Bank to give a lucky GAA, rugby and football fan an opportunity of a lifetime. 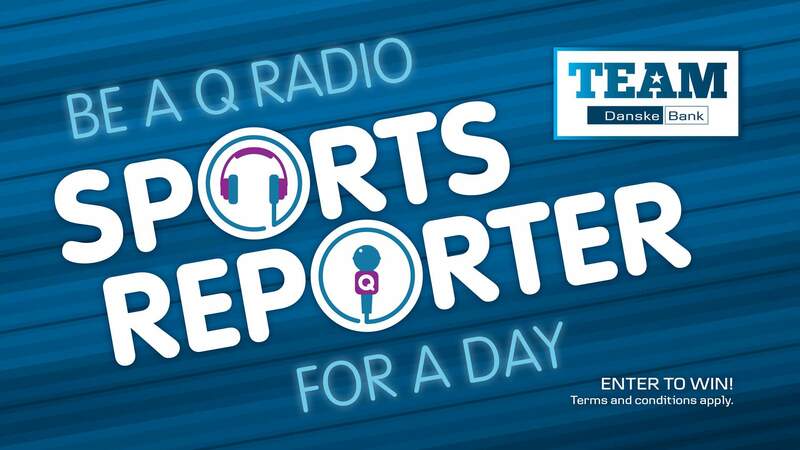 Danske Bank, proud sponsor of Schools Cup Rugby, Ulster Schools' GAA and U18 Schools Cup Football, is looking for three young sports fans to become a reporter for the day with Q Radio Sports Reporter, Simon Hunter. Are you a GAA, Rugby, or Football fan aged 11-18 and still in school? Or do you know someone who is? If so, enter below for the chance to win this amazing opportunity. The closing date is Tuesday 20th February 2018 at 11pm. Once all applications are received by 11pm on Tuesday 20th February we will shortlist entries down to three finalists. Shortlisted entries will be contacted on 23rd February 2018. This competition is open to students aged 11-18, who are studying at a school in Northern Ireland. Students under 18 must request permission from a parent or guardian before entering. You must complete all fields in the form above to enter. Entrants must be available to attend the Q Radio Workshop on 3rd March 2018, from 10-1pm. Winners must participate in all competition elements. Winners under the age of 18 must have permission from a parent or guardian to participate in all competition elements.